Gramatskiy & Partners is known as a trustworthy law firm, which has been successful in provision of legal assistance to its clients in various areas of law since its foundation. Gramatskiy & Partners is recognized as one of the leading law firms in Ukraine introducing high standards of legal services and performing with exceptional proficiency. From the moment of its foundation in 1998, Gramatskiy & Partners has acknowledged business legal practice as its own professional vocation and a mission of its serving the public. 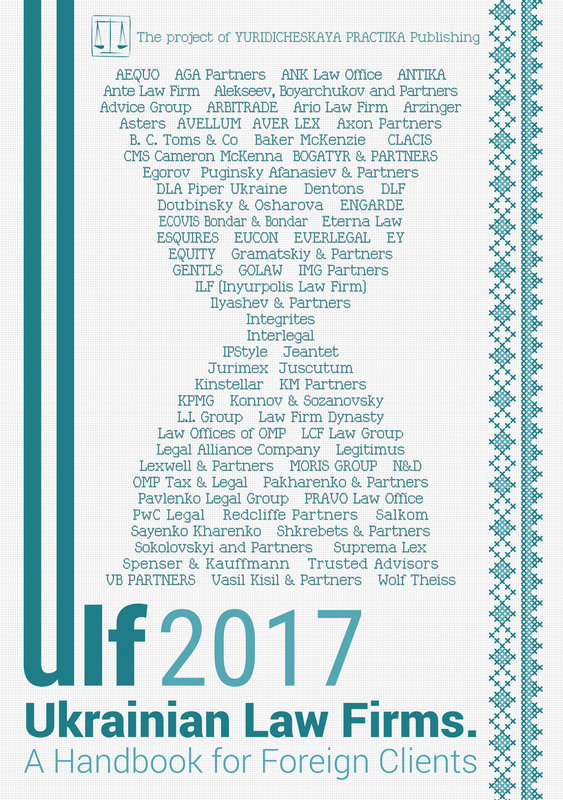 The unique experience of a vast legal practice allows the firm to advise today more than a hundred Ukrainian and foreign companies providing complex aid and assistance in legal matters, combining classic legal practice traditions with modern international standards of the legal services market. Being a universal law firm, Gramatskiy & Partners has made its name in a capacity of a qualified provider of comprehensive legal service. Combining a scrupulous approach and customer-centered orientation in terms of rendering legal assistance enables the firm to individualize a wide range of its services for the business of every client. For more than 17 years Gramatskiy & Partners has been successfully developing its practice in the field of business (commercial) law, foreign economic activity, and the practice of international private law. The pride of the firm is its staff — a team of professionals who had stood at the outset of the firm and have worked their way up from its foundation on the local and foreign legal service market and who continue working for the benefit of the firm and its respected clients. The firm’s experts provide tailor-made advice on many different practice areas, including commercial, corporate, tax, foreign economic activity and foreign investments, copyright, mass media, labor, securities and stock market, disputes resolution, mediation, insolvency. Furthermore, many of the firm’s clients have been successfully represented before public authorities and courts in civil, commercial, administrative and criminal cases. Pragmatism and practical orientation are among the distinctive features evinced by Gramatskiy & Partners in all the projects it was involved in; the firm bears responsibility for every memorandum and for every legal opinion, presented to the client. Gramatskiy & Partners structures and describes every legal procedure, as if the firm itself were to implement it in practice. In addition Gramatskiy & Partners pays special attention to the issues of confidentiality of the projects in which it assists because the law firm realizes the importance of information secrecy for clients. It is no secret that Ukraine has great business potential: geographical location, its large internal market, diverse natural resource base, well-educated people and, of course, cheap labor. Therefore, the Ukrainian economy has always been attractive for foreign investors seeking a possibility to expand their business. Despite all the challenges and obstacles that may arise during registration and conducting of business, investors still want to operate on one of the largest markets in Europe. Unfortunately, Ukrainian legislation is too complicated and difficult to understand for use by foreign investors. Frequent amendments to laws do not facilitate the process of doing business in Ukraine. Moreover, such a tendency creates a big threat for successful corporate activity. Ukraine has publicly announced its course aimed at simplifying the start-up and conducting of business. For the last few years Law of Ukraine No. 755-IV On State Registration of Legal Entities, Individual Entrepreneurs and Non Governmental Organizations has been dramatically amended. De facto, those amendments aimed at simplifying the process of business registration were frequently used by raiders to gain absolute control over corporate assets. The business community was concerned and required the state authorities to take radical steps to improve the business environment in Ukraine. Fortunately, recent amendments to the above mentioned Law have been met with optimism and this article aims to give a brief outline of certain law requirements applicable to the protection of foreign business from corporate raiders. On Joint Stock Companies Law. At the same time, as practice shows, one of the most commonly used legal forms of legal entities is a limited liability company. There are many reasons for such choice including but not limited to: the authorized capital (share capital) is divided into parts (shares); there is no limit to the minimum and maximum size of authorized capital (share capital); it may be incorporated by a sole participant (shareholder); the investors’ liability is limited by parts (shares); and, the most important, a limited liability company may carry out almost any business activities. The Law of Ukraine On State Registration of Legal Entities, Individual Entrepreneurs and Non Governmental Organizations governs the process of establishing a limited liability company in Ukraine and contains the full list of documents required for successful registration of a legal entity with the State Registrar. There is no need to name them all. However, it should be noted that the fundamental statutory document of limited liability company is its Charter (Articles of Association), where all those issues concerning authorized capital (share capital), participants (shareholders), etc., are detailed. Generally, the process of establishing a limited liability company is less time-consuming compared to the registration of other legal entities and takes no more than two-three business days (state registration should be done within 24 hours). However, the registration of a legal entity does not guarantee its successful business activity, as there are many problem issues that should be resolved. For example, establishing an effective corporate structure for the company will definitely increase its efficiency. Another crucial issue is control over the activities of the company’s managers who, in turn, run the day-to-day affairs of the company. In case investors fail to take the above-mentioned steps, the risk of losing their assets will be radically increased. One of the most common methods among raiders is using gaps in Ukrainian legislation aimed at illegal takeover of a company, usually by amending the company’s statutory documents contained in the Unified State Register of Legal Entities, Individual Entrepreneurs and Non Governmental Organizations of Ukraine (hereinafter — the State Register). In 2015-2016 the process of amending the company’s statutory documents was too simple and only required submitting the full package of documents to the State Registrar. The Law of Ukraine On State Registration of Legal Entities, Individual Entrepreneurs and Non Governmental Organizations contained no obligatory provision requiring entrepreneurs to prove the validity of their signatures. Moreover, it is not necessary to notarize the agreements of purchase and sale of parts (shares) and use the company’s corporate seal. All of these gaps were commonly used by corporate raiders who could easily counterfeit documents and submit them to the State Registrar. Another problem is that the State Registrar does not have the right to examine the validity of such documents and may only suspend the procedure of state registration of amendments in case the package of documents is not complete. According to various estimates, hundreds of legal entities came under attack from corporate raiders in Ukraine in the last two years. Some of them were able to protect their business, but some of them, unfortunately, were not and lost their money. The business community was stressed, concerned and unprotected, so the situation had to be changed. Therefore, the Verkhovna Rada of Ukraine recently adopted routine amendments to the Law of Ukraine On State Registration of Legal Entities, Individual Entrepreneurs and Non-Governmental Organizations, which were, by the way, met with optimism. Trying to find the best way to solve the problem of protecting investors’ interests, Ukrainian MPs decided to restore the former provisions of the Law On State Registration of Legal Entities, Individual Entrepreneurs and Non-Governmental Organization. Henceforth, any decision adopted by a company’s superior body (General Meeting of Participants (Shareholders) aimed at amending the company’s statutory documents, shall be subject to prior notarization. It means that the authenticity of the signatures of founding members and/or their authorized representatives and/or the chairman and secretary of the General Meeting of Participants (Shareholders) shall be notarized, otherwise the State Registrar will not change the company’s data contained in the Unified State Register. However, the notary-authenticated signature requirement shall not apply to any other decision of the company’s superior body unless such decision is subject to state registration. According to valid Ukrainian legislation a notary is obliged, prior to notarization of signatures, to identify the person in question, examine his/her civil capacity and capability and to check the powers of representatives. Thus, it has become too difficult to amend the company’s statutory documents without the prior consent of its founder(s) or their authorized representatives. The new edition of the above-mentioned Law contains other provisions directed at simplifying the process of business registration, such as: notaries and an accredited public entity are able to perform state registration; state registration can be performed irrespective of the registered address of legal entities; the list of data included in the State Register has been extended; the virtual office has been introduced. Ukrainian legislation is subject to frequent amendments. Thus, nobody can guarantee the stability of the Law of Ukraine On State Registration of Legal Entities, Individual Entrepreneurs and Non Governmental Organizations and introduction of new provisions or abolition of existing ones may be possible. Therefore, it is highly recommended that you protect your business in any manner appropriate. One of the most efficient solutions for protecting your business is drafting an effective company Charter. The founders may include in the Charter a requirement to notarize the authenticity of the signatures on all those documents that are subject to state registration. The adoption of such provisions will result in improving the efficiency of state registration of any amendments to the company’s statutory documents and will reduce the number of illegal takeovers of businesses.